Looking for a Fujitsu laptop battery? Try this one, it is better than the traditional laptop batteries. The iTEKIRO All-in-One 88.8Wh 24000mAh External Battery Power Pack Portable Charger is the latest solution for powering & charging laptop computers and many other consumer electronic devices. Designed in Japan, it is simple to use, compact and extremely versatile, the iTEKIRO power bank just keeps you powered up and ready for action at anytime, anywhere. The external battery power pack works for your Fujitsu laptops, your other brands laptops, your smartphones, your tablets, and ..., guaranteed! 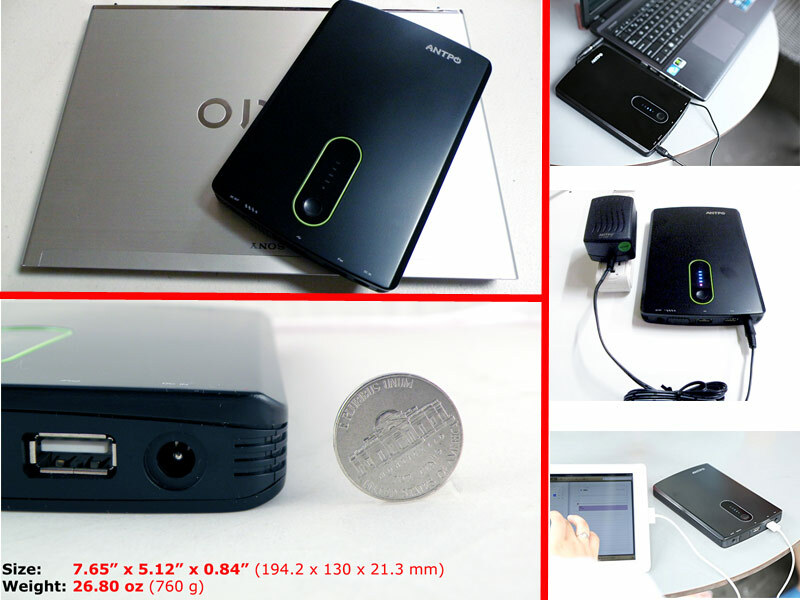 This page is about iTEKIRO 88.8Wh 24000mAh External Laptop Battery Pack for Fujitsu Notebooks Ultrabooks and All-in-One Power Bank Charger for Tablets Smartphones Action Cameras Camcorders E-Book Readers Game Players GPS. In addition to working for Fujitsu laptops, the iTEKIRO All-in-One 88.8Wh 24000mAh External Battery Power Pack Portable Charger provides constant power to most laptop PCs (notebooks, netbooks, ultrabooks, tablets, iPads), smart cell phones (iPhones, Android phones, Windows phones), cameras (action cameras, camcorders), E-Book readers, DVD / game / MP3 / MP4 / players, GPS, and many other mobile devices. No need bulky AC adapters with messy cords any more, ONE IS ENOUGH. Black color, 1 year warranty.